Why High School & Beyond? As you begin high school, college may seem like something in the far distant future. It is not. Before long, you will be taking the SAT, going to college fairs, and poring meticulously over applications. Your options in choosing colleges will be determined by your performance in high school, which begins with your freshman year. A smart entering 9th grader will begin planning his high school career before he even walks through the school doors on the first day of class. High School & Beyond also emphasizes the need to grow in character at the same time as one develops one’s intellectual life. The program promotes the idea that one’s high school career should be seen not only as an opportunity to pursue self-development, but also, and more importantly, as an opportunity to learn to put one’s talents at the service of others—in short, to become a leader. High School & Beyond is a seminar program designed to help responsible students make the most of their high school years and maximize their college opportunities. It makes use of a well-crafted curriculum combining lectures, readings, discussions, strategy games, and team sports. The program challenges students to think critically and to establish goals and pursue them energetically. In addition to the seminars, each student will be paired with a mentor who will help him develop concrete, practical goals to implement in the coming year. 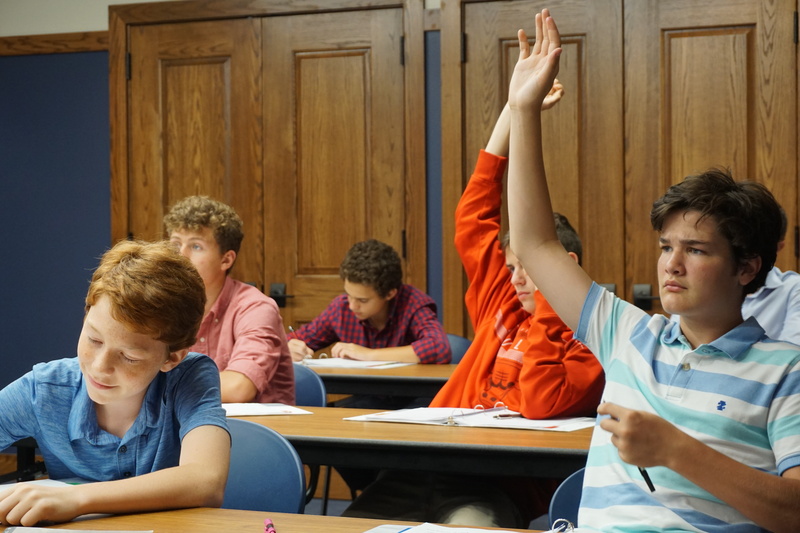 The daily schedule includes two classes each morning providing practical tips for success freshman year, sports in the afternoon, a virtue talk, reading and discussion of A Man for All Seasons, and night games. There is also daily Mass and times of prayer for those interested. Participants will stay at Windmoor Study Center in South Bend, IN blocks away from the University of Notre Dame campus. The week-long program will include daily Mass and times of prayer for those interested. Applications received by April 1, 2019 will be given priority. Notification of acceptances will be sent out beginning April 8, 2019. For those accepted, balance of payment should be paid by June 1, 2019. To make a payment, click on the “Payment” tab above and follow the instructions.